Have limited time to visit the island? 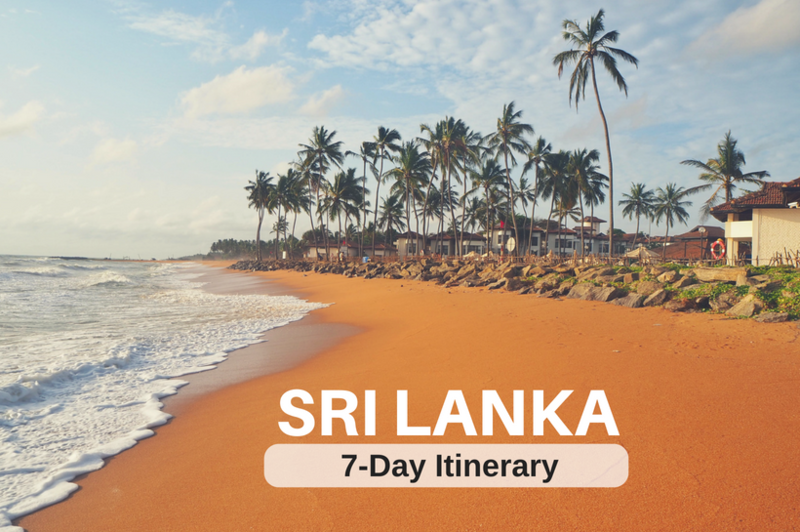 No worries: this Sri Lanka itinerary for 1 week will help you to plan your perfect trip. Sri Lanka, an island country in Southern Asia, offers an exciting mix of cultural sights, wildlife, and sweeping beaches washed by warm waters of the Indian Ocean. There are many reasons to visit Sri Lanka: covering an area of just 65,000 square kilometers, it offers an interesting variety of activities and landscapes that are a joy to discover. With English being widely spoken and locals friendlier that you could imagine, you shouldn’t have any difficulty finding your way around. Here is my Sri Lanka itinerary for 7 days, covering the island’s main highlights! Sri Lanka is a tropical country and the weather is hot all year round. However, the climate is influenced by monsoons and varies dramatically across the country. At pretty much any time of the year, there will always be some place is Sri Lanka where it’s currently raining. You have to, therefore, consider where to go and when. Generally, the best time to visit the west and southwest coasts and hill country is from December to March. And the best time to visit the east coast is from April to September. I did my trip in July and was pretty lucky with the rain; I only got some showers in Nuwara Eliya, apart from a mini 5-minute downpour in Colombo. It could have been a lot worse! Keep in mind you need a visa to visit Sri Lanka. Most visitors can register online and then pick them up at the airport upon arrival to Sri Lanka. The link for applying is here and the process is pretty smooth; you just fill in your info online, pay 35 USD via credit card and then wait for the email notification. For me, it took less than 24 hours to get my visa approved. However, I suggest doing it at least 10 days in advance. Just in case! Booking the visa online is one of my 21 Sri Lanka Travel tips. 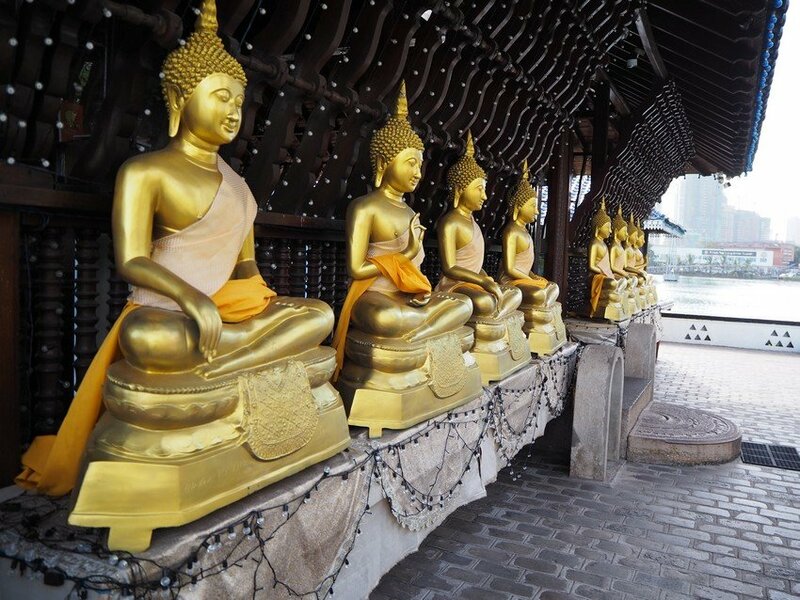 Given the variety of sights in this itinerary, you need to be ready for both beaches and temples. Speaking from my own experience, Sri Lanka seems to be quite strict when it comes to dress code in temples; much stricter than, for example, Thailand. You MUST have your shoulders and knees covered, and this restriction is really enforced at temple entrances. Mostly there is no possibility to buy or borrow some extra covering, so it is better to have proper clothes with you. If you are wearing a hat or a cap, you will have to remove it before entering the temple. Wanna make sure you have everything? Read my other post What to pack for Sri Lanka here. Bring a waterproof jacket and some warm layers as well. It’s mainly hot, but for example, Nuwara Eliya, in the hills of Central Sri Lanka, has a temperature that ranges from 5-20°C. 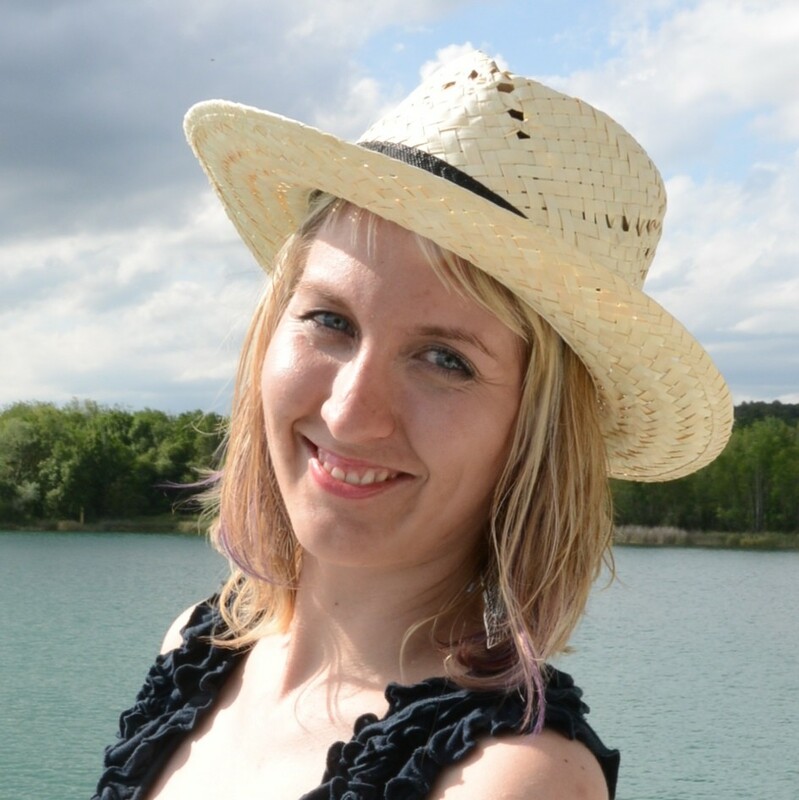 In July, the daytime temperature was around 17 °C, which in combination with rain felt pretty chilly. Do not forget a cap or a hat, sunscreen, sanitizer and mosquito repellent! As usual, photography equipment and chargers are a must. Sri Lanka is very photogenic! **The 1-week itinerary below is based on what I did on my trip and you should know it is VERY rushed. There will be no long sleeps, but you get to see a lot of places. If you want to spend more time at each location, you could cover the same places and spend 10 days in Sri Lanka. Or simply add some extra time on the beach, for example in Negombo. Colombo is an easy place to travel to: the airport is quite small and most hostels are located within 45 minutes’ drive. You can recover from jetlag as you get a feel for Sri Lanka. Some people decide to skip Colombo, which I think is a pity: spend at least one afternoon of exploring the local temples and get your first impressions of this new country. 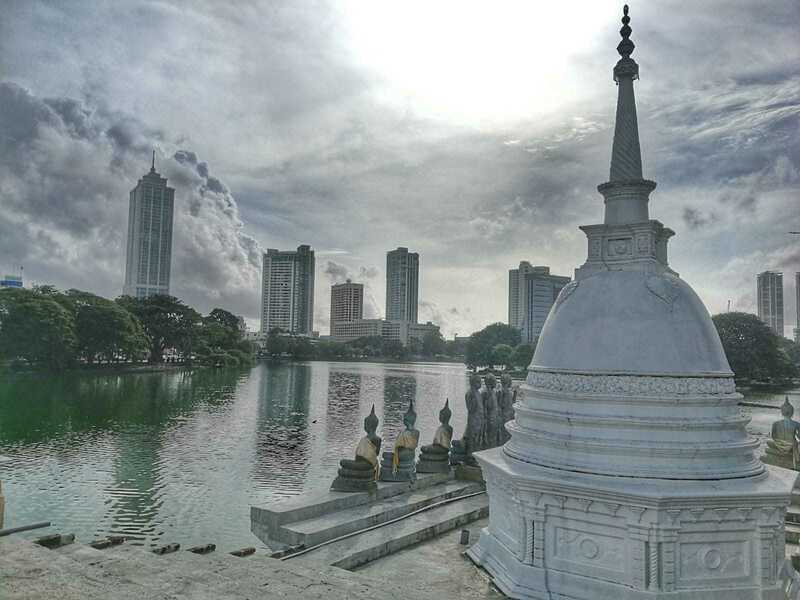 You can check my other post covering What to see Colombo in one day here. Keep in mind that the distances between the Colombo sights are pretty big and not exactly walkable. Luckily, there are plenty of tuk-tuks that can take you around. If this is your first time in Sri Lanka, please be cautious of various people approaching you on the street and offering you “help”. Colombo is as safe as any other South Asian capital, but tourist scams do still occur. Owing to its tropical climate, Colombo can be visited all year round. Sometimes it can get pretty hot during the day, so doing sightseeing in the early morning or late afternoon is definitely a great idea. Do: Make sure to visit Guanarama temple: it is not only one of the most important places of worship but also features amazing views, as it overlooks Beira Lake. Tour: Discover Colombo by tuk-tuk on this 4-hour tour with a local guide. Head down narrow streets, past monuments, and to some of the most popular areas, the way locals do. Stay: Hilton Colombo Hotel. Get a room at one of the higher floors to enjoy stunning views of the Indian Ocean. They’ve got an outdoor swimming pool, too. Move: It is 45 kilometers from the airport to the city. Plus you cover more ground while exploring Colombo. My suggested Day 2 is busy one and there is a lot of driving as well, so it might be a good idea to split it in two if you can add a day. That way, you would get more time at each of the places as well as some extra time in case of any problem. If you follow my footsteps and plan to do it all in one day, make sure to leave Colombo pretty early in the morning. Halfway to Habarana, there is an amazing UNESCO sight not to miss: Dambulla Cave Temple, the largest painted complex of caves in the world. You need to walk up a steep hill to visit the four temples. The cave begins on a plateau at an elevation of 340 meters above the sea, from where you can enjoy a fine green panorama. I really loved this place, and with the school kids in their uniforms, this was a moment to remember up there in the hills. The second highlight of day 2 is a Safari at Minneriya National Park near the city of Habaran. 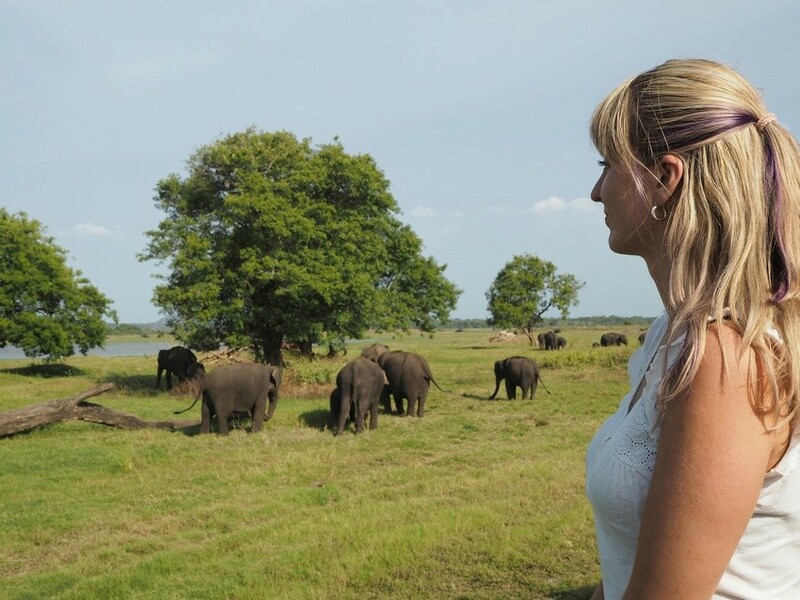 Seeing elephants in the wild is an amazing experience and a highlight of any Sri Lanka itinerary. Sri Lanka is something like a motherland of elephants: about 10% of the global population lives in Sri Lanka. And about 200 elephants live right at Minneriya National Park. You are likely to spot large herds of elephants here. You can see my detailed post with all necessary info on Minneriya National Park Jeep Safari here. Do: There are actually two national parks – Minneriya and Kadulla – and the elephants do move frequently from one to another. Check out with local guides which one is the better at the day of your visit. Stay: Jetwing Lake, pretty amazing hotel with great swimming pool located in serenity. If you stay there, make sure to really spend some relaxing hours at the hotel. Move: There is 100 kilometers between Colombo and Habarana. You will, however, split this distance by making a stop at Dambulla temples. Wake up to another amazing day of your 7 days in Sri Lanka. You will be making your way up to Sigirya, one of the most photogenic places in the country. The 400 meters high rock looks pretty scenic from far away already, but you should find your way up as well: and with 1000 stairs to climb, it certainly means an effective workout. What’s so unique about Sigirya? According to historical resources, this pace was chosen by selected by King Kasyapa (477 – 495 CE) to be the new capital. He built his palace nowhere else than on the top of the stunning rock formation, with majestic gate shaped as lion on the halfway up. After the king’s death, the royal palace was abandoned. Much later, it was used as a Buddhist monastery for some time. Since 14th century, this place has been completely abandoned. Today, Sigirya is on the UNESCO list and the place is quite touristy. I highly recommend visiting it early in the morning, before the afternoon heat and massive (mainly Chinese) tourist groups spoil the place. Following my itinerary, you still have a long trip to Kandy ahead. Do: Climb to the top, and spend some relaxing time in the royal gardens afterward. Stay: Amaya Hills Kandy (stay here for 2 nights). Located up in the mountains above Kandy, this hotel features amazing panoramic views. Move: There is 140 kilometers to do today: it’s a 3-hour drive. Bring lots of water with you and some snacks both for the bus ride and Sigiriya climb. If you have 10 days in Sri Lanka instead of just one week, make your way to nearby Pidurangala Rock, where you can get the best views of Sigiriya rock. You can then spend a night somewhere in the area before traveling to Kandy. No matter how short one week in Sri Lanka might seem, if you want to get a real feeling for the country, you must pay a visit to its cultural capital. Kandy is dotted with significant sights, and without a surprise, it made it on the UNESCO list, too. 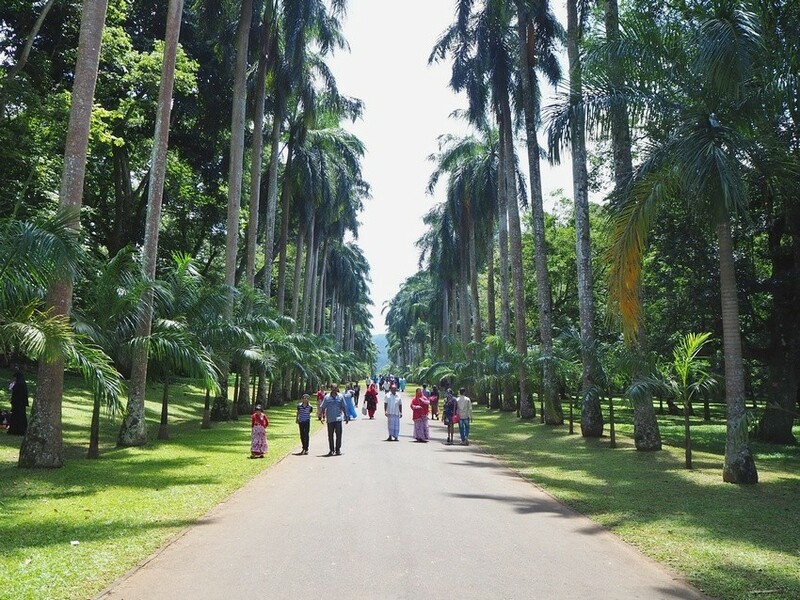 If you love nature, you shouldn’t miss the Royal Botanical Garden located in Peradeniya, just four kilometers away from Kandy. Although significantly modified by the British, the garden dates back to the era of the ancient kings. The botanical gardens cover an area of 59 hectares, so it is possible to spend a whole day there, perhaps accidentally walking the same path twice like I did 🙂 If your time is limited, try to visit the orchid house and the suspension bridge, which are some of the highlights, before heading back to town. 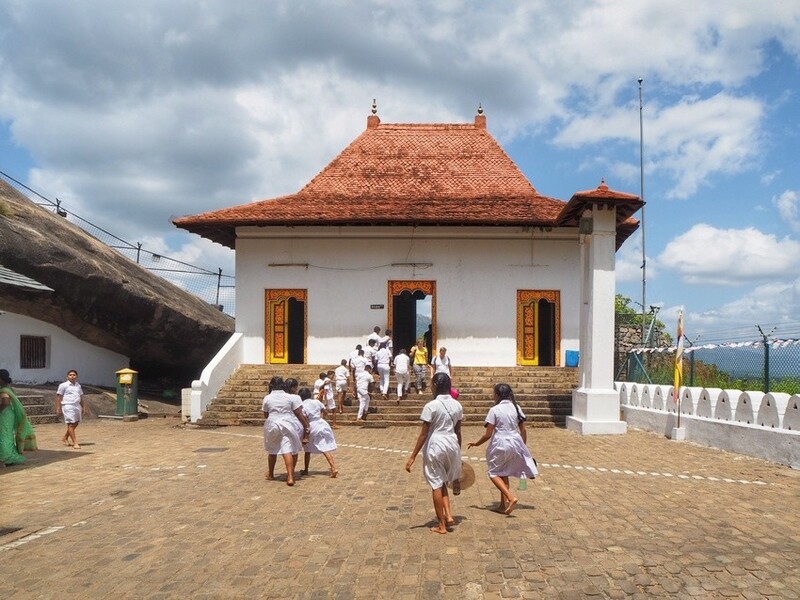 Kandy is a home to Temple of the Sacred Tooth Relic, one of the most sacred shrines in the whole country. As the name suggests, the temple houses a tooth relic of the Lord Buddha which can be seen twice a day during a special ceremony. You can connect a visit to the temple with the fire show, which takes place several times a week near the temple. Do: Keep an eye out for the fruit bats, handing up in the trees. 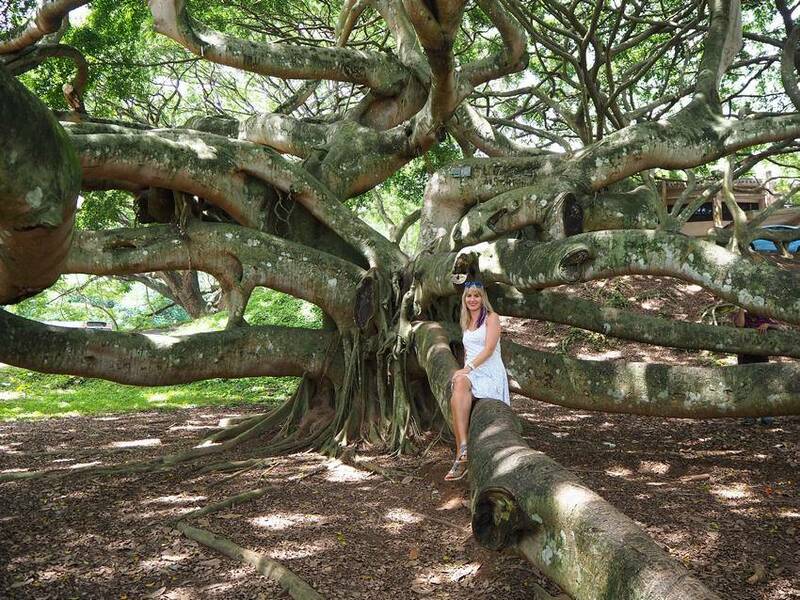 Carefully climb the large banyan tree to take your best picture from the garden. Stay: Again at Amaya Hills Kandy. This place is really relaxing after a whole day of sightseeing. Drive: Today, there is just 75 kilometers to drive. You can take a rest from the driving. Kandy is a good location for buying souvenirs, presents or anything else. I made a few purchases here, including coconut oil, a skirt, and a natural bug repellent. 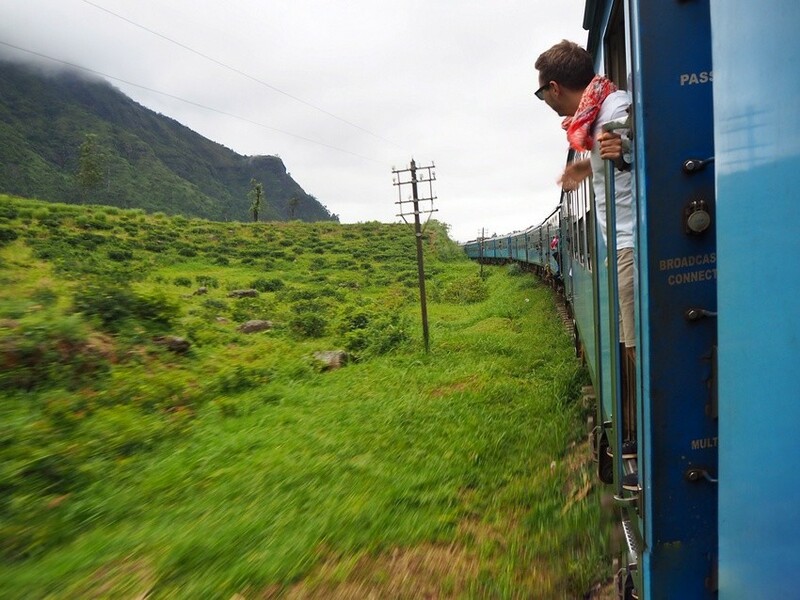 Traveling by train is one of the most enjoyable ways to move around Sri Lanka, and the picturesque train trip to Nuwara Eliya (at 1,868m) is known as one of the most scenic train routes in South East Asia. Day 5 of this one week Sri Lanka itinerary is pretty much about sitting in the train and enjoying the scenery, as it slowly changes from the subtropical spice and banana trees to pine and eucalyptus forest. You will see lots of tea plantation and if you watch carefully, you might be able to see waterfalls as well. Before getting on the train, you will have to fix your train tickets. Basically, there is a choice between the second and first class (the latter features and air-conditioning). I was traveling on the second class and it was fine, especially since there is enough of air coming in from windows and the further you get, the less got it is. The target destination is in the mountains, and even in July the temperature was about 17 degrees! It is good to bring enough snacks and drinks for the train journey. However, it is possible to buy supplies on the train too. In bigger stations, you can also get some snacks from the local sellers through the window. The train ends Nanu Oya station and from here there is a 15-minute drive to Nuwara Eliya. Stay: Jetwing St.Andrew’s. Rooms equipped with wood furnishings and cozy fireplaces. I have used their heating facilities, too. Yes, in July! Drive: There is 100 kilometers to do. In the train, it takes about 5-6 hours. It is a long trip, so be prepared. Nicknamed ‘Little England’, Neuwara Elliya has got a very different feel to anywhere else in Sri Lanka. 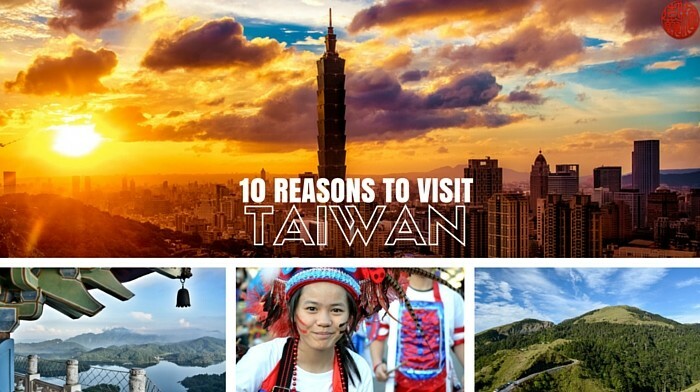 On day 6, you have the opportunity to visit a tea factory and an unlimited number of scenic stops at the plantations. The area feels like far away from civilization, and somehow it is; the internet signal is not great and hotels sometimes have problems with their hot water (I am speaking from experience here! On the other hand, it is all about nature, hills and tea. If you like peaceful surroundings, you might even wish to stay longer. Do: Taste the famous local tea. If you are going inside a tea plantation, be aware of leaches. I found one stuck to me and it was pretty disgusting! Stay: Club Hotel Dolphin. Amazing resort located right on the beach. I loved it and I am definitely coming back. It’s just 15 km from the airport. Drive: There is 200 kilometers to drive. Roads to towards Colombo are not as great so the trip takes about 5-6 hours. The train isn’t faster either. 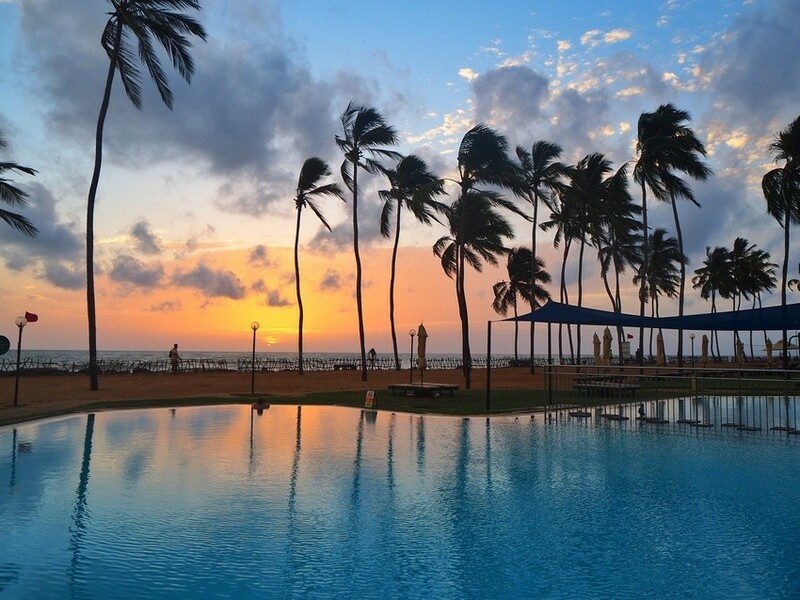 With its high palm trees and sweeping beaches on the west coast, Negombo is a piece of paradise located just 20 kilometers from the Colombo International Airport. There is little to do apart from enjoying the long strip of Sandy Beach, which is much needed after the busy days above in this one week Sri Lanka Itinerary. During my stay, the sea was a pretty wild and there was actually a red flag. However, after finding a place protected by some rocks, I could not help but play in the waves. As my hotel (Club Hotel Dolphin) had two swimming pools, one of them right I front of my terrace; I knew I could go swimming anytime, anyway. For me, Negombo is actually a place where I would have liked to stay longer if possible, at least two or three nights. If you have the choice, definitely do. Next time, this will be the first and not the last destination on my Sri Lanka Itinerary. Do: Watch the sunset from the beach. 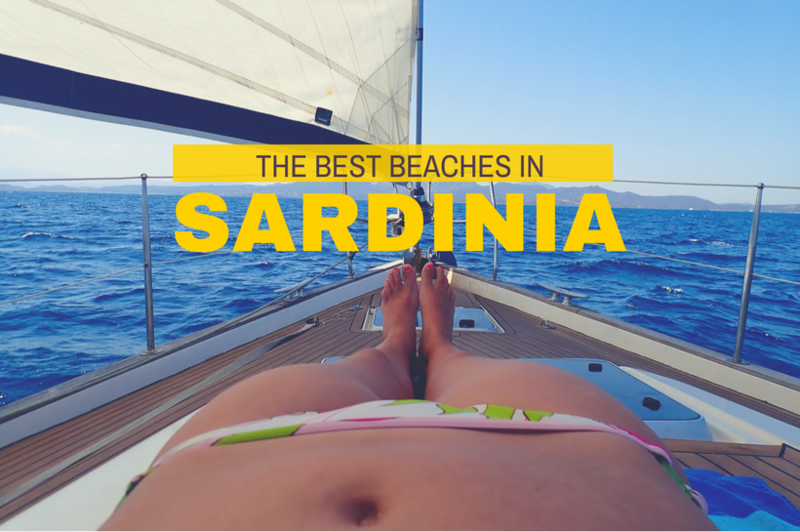 Enjoy the seaside breeze, and if the waves allow it, do as much swimming as possible. Stay: Club Hotel Dolphin. Unless your flight is on day 7, spend it here. Another alternative is to sleep in Colombo. Move: It is just 15 km to Bandaranaike International Airport. 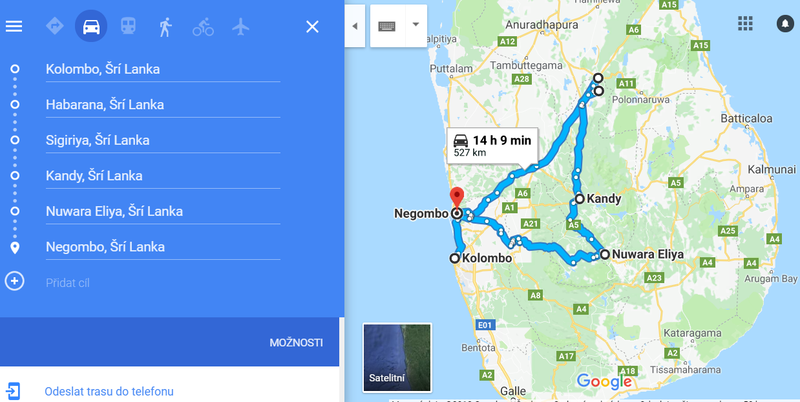 In fact, Negombo is closer to the airport than Colombo itself. 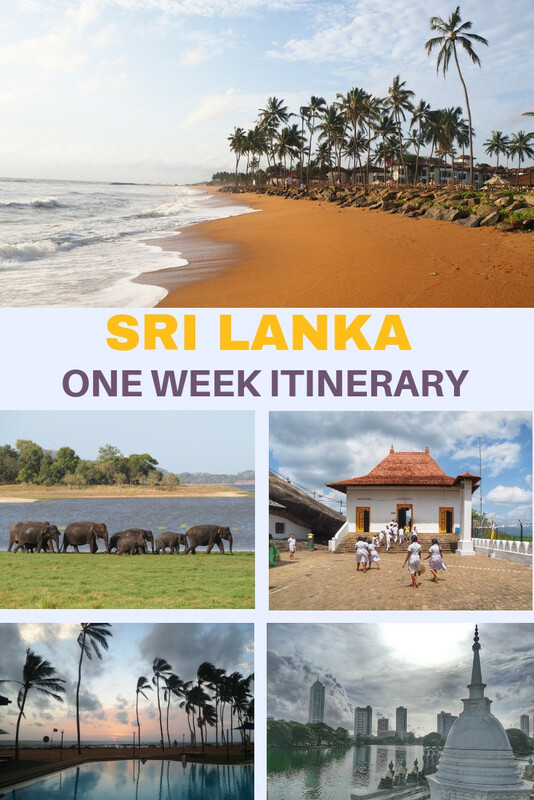 I hope that this one week in Sri Lanka itinerary will help you to plan your trip. I enjoyed Sri Lanka and I will definitely be coming back to see more! We really did not have Sri Lanka on our travel plans. We may need to change that after reading this post. Thanks for clarifying the visa requirements. We always make sure to bring clothes that provide the proper coverage for visiting temples. I would never have thought of doing a safari but now I see why I should. A visit to the Banyon trees and the special baths may be a good add to a visit to see Amaya Hills Kandy. But we would definitely want to visit the Negombo Beach. It would be great to watch sunsets and head underwater. Thanks for introducing us to Sri Lanka! There are some useful tips here. Sri Lanka is a beautiful country! Of all those places, my favourite would be climbing Sigiriya Rock. It’s a bit of a challenge but the view from the top is amazing. I particularly love the rock paintings. 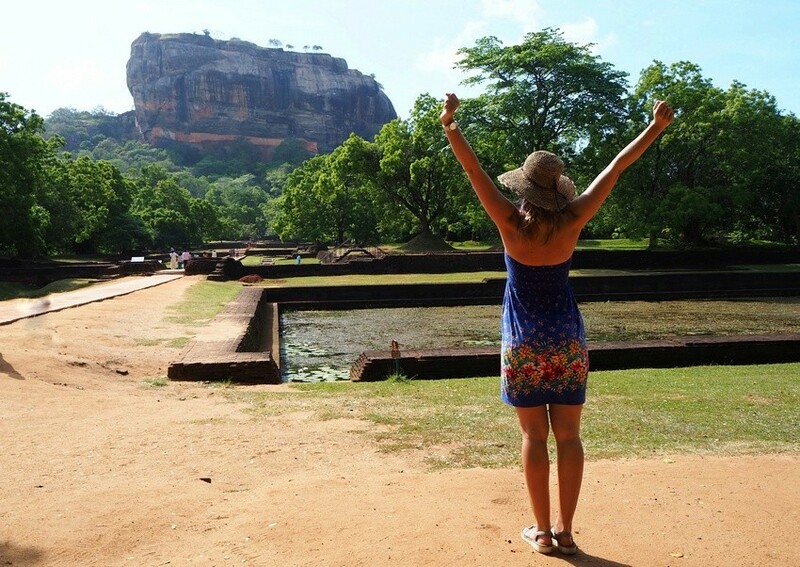 Hello Christina, yes Sigiriya Rock is definitely worth the effort! I didn’t know Sri Lanka was so beautiful and had so much to see! I would love to see the elephants in Habarana and the tea plantation in Elliya. The sunset at your hotel was beautiful, I wouldn’t mind sitting with a glass of wine watching the sun go down there. Sri Lanka is a beautiful country with many sights and experiences waiting to entice the visitor. We have been there for a short visit only but need to head back to explore more of the country. 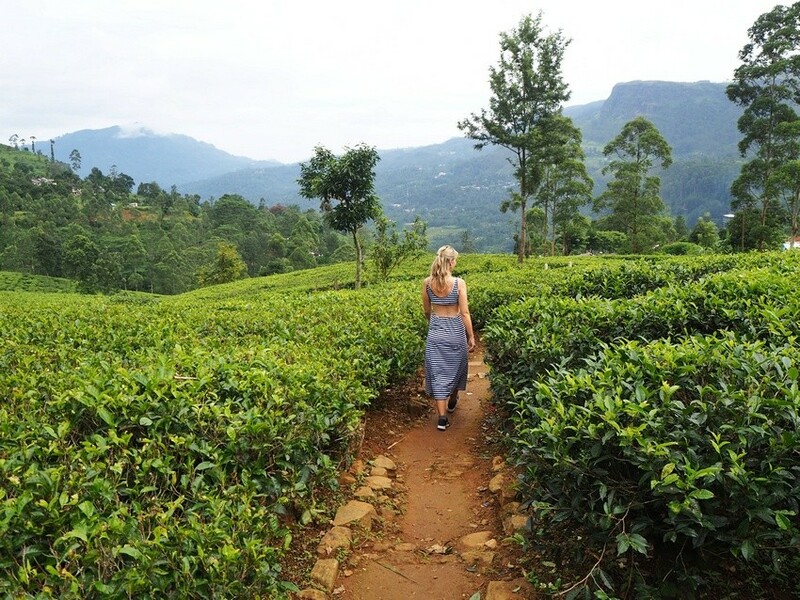 Your itinerary seems perfect for us as it includes Sigriya and the train ride from Kandy to Nuwara Eliya which feature high on our bucket list. I followed almost the same itinerary except that I missed Sigriya and instead of Negombo, did Bentota. Nuwara Eliya was awesome as was Kandy. Loved the local markets in Kandy, near the temple. Your post got me all nostalgic. This is an exceptional itinerary and I know that because I visited almost the same places when exploring Sri Lanka. Spending seven days in Sri Lanka with this ultimate guide will be like a piece of paradise for everybody!